Pro Wash, LLC has been pressure washing Brentwood TN residential and commercial properties for many years. We have taken care of the power washing needs of many Brentwood business locations as well as hundreds of private homes in the area. With its thriving shopping areas and abundance of high-end homes and subdivisions, exterior cleaning services are among the most frequently needed by Brentwood residents and businesses. The city has experienced significant growth over the last decade, likely contributed to by its close proximity to downtown Nashville and nearby Franklin and Cool Springs. With easy access to other nearby Nashville suburbs such as Bellevue, Antioch, Green Hills and Crieve Hall, Brentwood is naturally an area comprised of highly valued real estate. Why is Pressure Washing Brentwood TN needed? The high traffic loads at the restaurants, shops, galleries and markets create a bustling atmosphere, but also contribute to dirty surfaces from all of the spilled iced mochas and sweet grass smoothies. If left unchecked, all of this combined soiling would have a negative impact on the city’s appearance. The experts at Pro Wash, LLC provide top tier pressure washing services to all Brentwood based businesses, keeping the city’s image of fine dining and shopping alive and well by creating an inviting and clean place to conduct business. From weekly cleanings of storefronts to new construction cleanup, pressure washing and soft washing is a very needed service in this area. Services like these often go unnoticed since they are performed during night time hours. Even though you may not see the cleaning take place, you definitely notice the results. Can you imagine how dirty your favorite grocery store or coffee shop entrance would be without the occasional pressure washing service? Hundreds of pieces of chewing gum would transform the sidewalk into a polka dotted mess, not to mention the abundance of stains from spilled drinks, heavy foot traffic, leaves, and bird droppings. When it comes to “bang for buck”, pressure washing in Brentwood, TN is one of the most affordable and noticeable services available. Patrons and employees alike will appreciate and benefit from clean environments. Imagine how a customer feels when they enter a business and there are several types of stains visible adjacent to the front door. These are things that customers notice immediately, and while it may not deter all of them from patronizing a certain location, it most certainly has an impact on potential customers choices regarding where to spend their money. 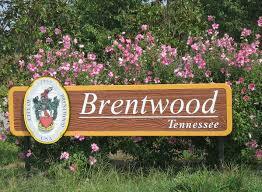 Brentwood is expected to continue its growth in the years to come. Construction is booming and several new office/retail complexes will be coming online in the near future. The city has become a hub for commerce and boasts some of the finest dining and shopping in Middle Tennessee, and it shows no sign of slowing down anytime soon. The new development “Hill Center” as well as several other mixed-use developments display the current trends of the area. 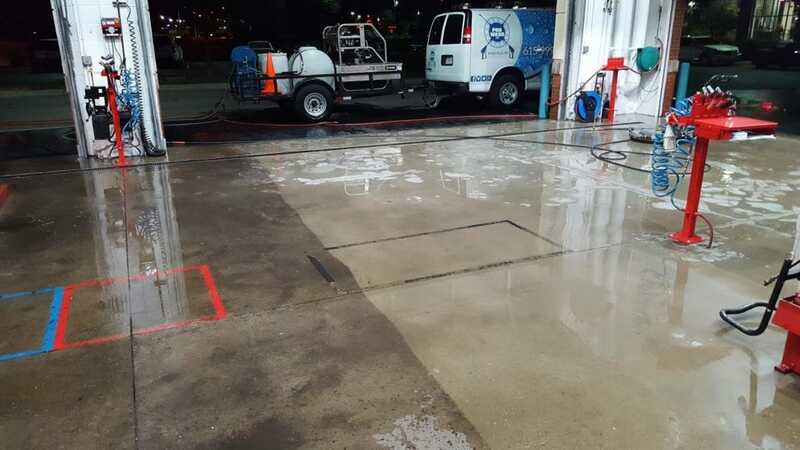 The pressure washing contractor assumes much of the success of keeping a thriving location looking clean and ready for the next days business. 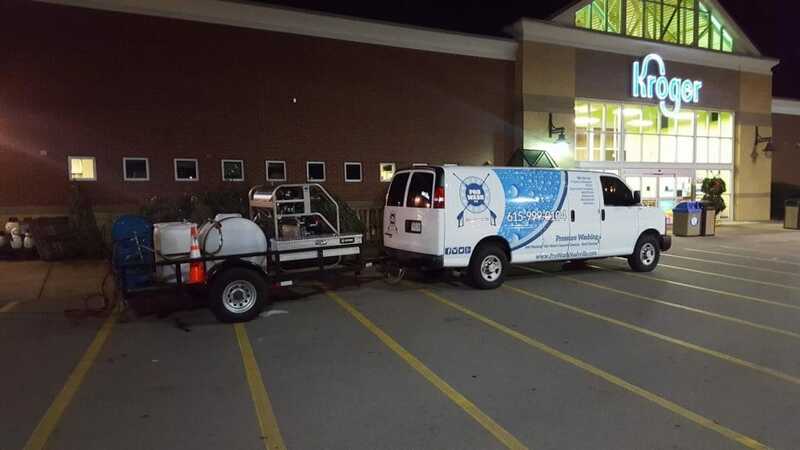 In the wee hours of the morning, when most of the population is sleeping, the professional pressure washing contractors are keeping the dream of the city alive and well, night after night. Click here to learn more about the city of Brentwood and Williamson County.